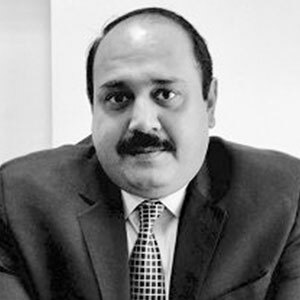 Mr. RakeshKaul is currently the President of Consumer Business and Chief Executive Officer of the Retail division at HSIL Limited. In his current role, he is responsible for developing and driving HSIL’s Consumer and Retail business. His business acumen, strategic vision and execution excellence is the force behind HSIL’s new ventures in this highly competitive market. Prior to joining HSIL Limited, Mr. Kaul spent five years with Karbonn Mobiles as the Executive Director ofthe Mobility Business. Under his Leadership the Brand for a larger period remained amongst the Top 3 brands in the Indian Market in the Handset Category. 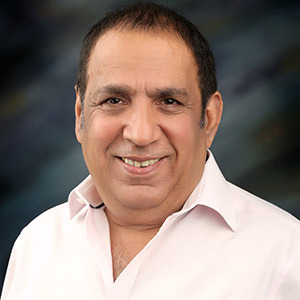 Mr. Kaul has over two decades of experience, and has worked with leading companies like, The Reliance Group, The Times Group, Onida, Whirlpool and Philips India. 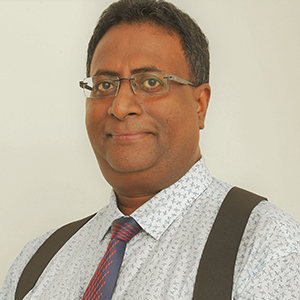 He brings to the table in depth knowledge of diverse sectors and industries such as Consumer Durables, E-commerce, Retail and Mobility Business. Mr. Kaul holds a Master’s degree in Foreign Trade from the Symbiosis Institute of Management Studies. 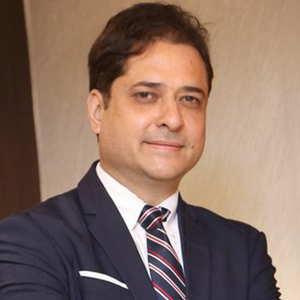 He also holds a Master degree in Business Administration from The Institute of Management Studies, Kurukshetra and a Bachelor’s in Science degree from the Delhi University. 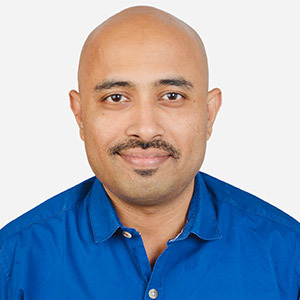 Aditya has over 2 decades of experience in market strategy, brand management and communication in the media and technology/web domains across India, Nepal and Mauritius. 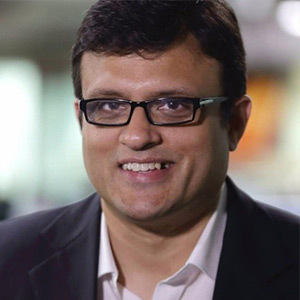 He currently runs the marketing function for CNN-News18 and News18 India, the national general news channels of Network18; News18 World which airs CNN-News 18 content in the US, UK, Middle East and Singapore markets and Firstpost Weekly, Network18’s first newspaper venture. 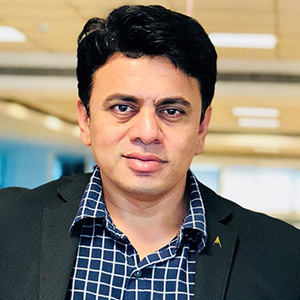 In his current role, he has lead managed the successful re-branding of CNN-IBN to CNN-News18, of IBN7 to News18 India and ETV HSM channels to News18 besides being an integral part of the team that re-launched the CricketNext App. 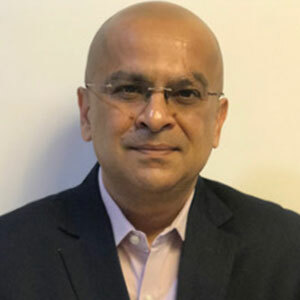 He has also been responsible for developing and executing several strategic campaigns at Network18 aimed at positioning the Network / brands as leaders in the category. Aditya has also led the communication mandates for high profile programming / events such as the General Elections 2014, the PM Modi interview and now General Elections 2019. 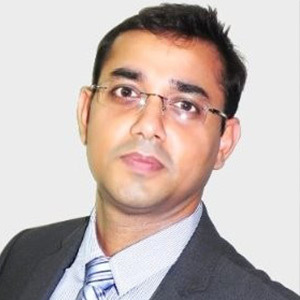 Aditya is a nominated member on the Consultative Committee on Communication and PR, BIS, Government of India. He has also been featured in various lists of the most influential marketers in the country apart from being a regular invitee at various industry / academic forums. Several of the campaigns led by Aditya have won top honours at various industry awards. Aditya holds a BA (Hons) in Economics and a Post Graduate Diploma in International Marketing (Department of Commerce, Delhi School of Economics) from the University of Delhi. He has further obtained his Master's in Management Studies from the Sprott School of Business, Ottawa, Canada. Managing Director, Armour Display System Pvt. Ltd.
With a professional journey over 30 years, Mr. Anil Hirani has played a significant role as a successful entrepreneur. He comes with a corporate experience by heading the US fortune 500 company Tyco in India as a Regional Manager for India, South Asia and Middle East. Mr. Anil persuaded his entrepreneur skills by starting Alert a Fire and Safety Company which was later acquired by Tyco, India. Mr. Anil, engaged with his corporate exposure by working at Tyco, India. His growth happen organically and also in-organically wherein he acquired 5 companies in India which helped Tyco to increase their foot print across Asia. Following his corporate experience, Anil started a realty business under the name Agile and had an immersive land engagements. Few of the projects executed and worth mentioning are a 100 Acres acquisition in Mysore to a Telecom Society, a 114 acres acquisition on OMR road in Chennai to Hiranandani, another 100 Acres acquisition in Devanahalli to Hiranandani. With the increased land engagements specifically with Hiranandani, finally he joined them as Director – Business Development, with the sole responsibility to lead the Sales and Marketing and to look for new land acquisitions. Upon working with Hiranandani, Mr. Anil started his very own realty project called “Prestige Sound of the South”. 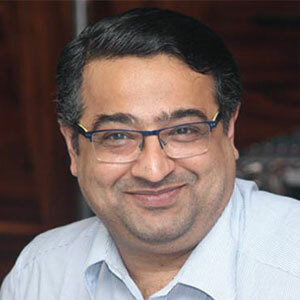 Now, Mr. Anil Hirani heads the Digital OOH company Armour Display Systems Pvt. Ltd. as a Managing Director. The company has its networks stretched to the length and breadth of India having its presence across transit mediums at railways, bus station, and at leisure destination. 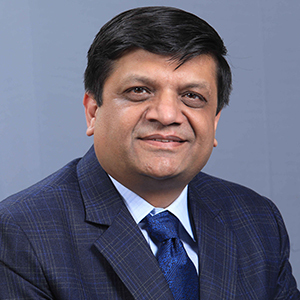 Arun Gupta, the Founder and CEO of MoMAGIC is a technology veteran turned first generation serial entrepreneur, with 25+ years of experience and multiple patents to his credit, while donning the hat of Director MediaTek, for close to a decade. Arun Gupta is credited with being the architect of the 1st version of MediaTek handset MMI. Under his visionary leadership, MoMAGIC has achieved a significant market share of the Mobile Internet market in Asia, within a short span of 8+ years. His expansive experience and profound knowledge base in Product Development and Mobile Technology ensures that MoMAGIC offers a business edge to its partners. Mr. Gupta has been invited as Speaker, Panelist and Jury on board, to select media and industry platforms, nationally and internationally. 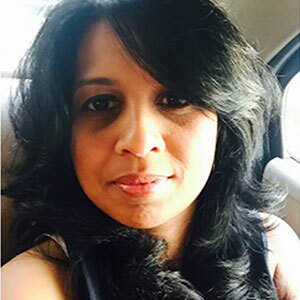 Bhavana Mittal is the Regional Head of Media, Digital and Communications for Reckitt Benckiser, South Asia. 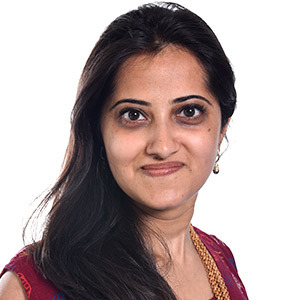 In the multifarious environment of FMCG, she is responsible strategic areas such as media planning and buying, analytics, digital capability building, performance management of the media agencies, etc. across the region. 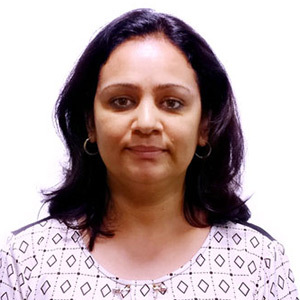 She is a part of the advisory councils for various industry forums like SHEROES, ad:tech, DMAasia, MMS and iMedia. 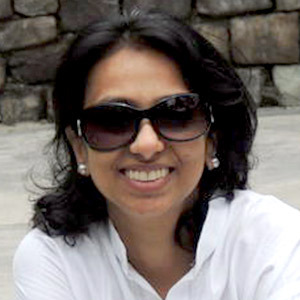 She has been a jury member for FOMA, digipub awards, digixx, PrimeTime, PSRI Engage and OAC awards. In roles prior to RB, she was heading Media and CSR for GSK for the Indian Sub-Continent and the Media Audit division for Accenture. Honoured with the 3rd Aadhi Aabadi Women Achievers Award 2011, Bhavana’s success and contribution to the media industry has been recognised nationally. (Aadhi Aabadi Women Achievers Award a platform is to give recognition and honour to women who have achieved success in their respective fields against all odds and emerged as a role model and inspiration to others). She has also been recognized as one of the ‘50 Most Influential Digital Marketing Leaders’ listing for 2017 chosen by the World Marketing Congress, Social Samosa’s Top 50 Social Media Superwomen 2018 and a ‘Global Young Leader’ by the Global Youth Marketing Forum. With a career span of more than 20 years, she has been associated with various reputed brands and campaigns. 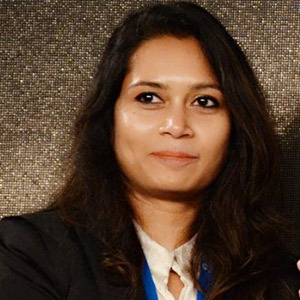 She started her professional journey with Saatchi and Saatchi launching Hyundai Santro and Accent in India, which went on win a bronze at the New York Advertising Effectiveness awards that year. An avid reader, travel enthusiast, yoga trainer, leisure photographer, along with her over-encompassing knowledge of media, Bhavana has a multi-faceted persona. 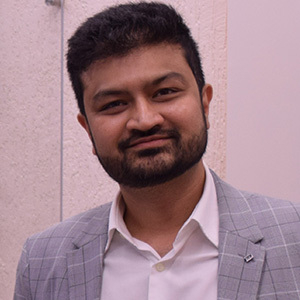 Associate Vice President - Media, Kotak Mahindra Bank Ltd.
Pramod Patil is a part of the marketing team at Kotak Mahindra Bank and manages the media and advertisement strategy for the Group. 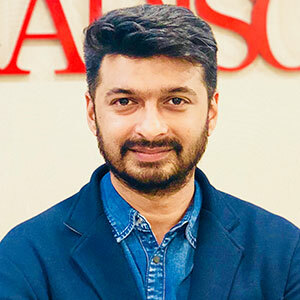 n his current role, he is responsible for planning media strategy, efficient buying of media inventory for campaigns across the Group and across media, and ensuring timely and error-free execution. Some of the landmark campaigns that Pramod has worked on at Kotak include Kona Kona Kotak and #IndiaInvited. 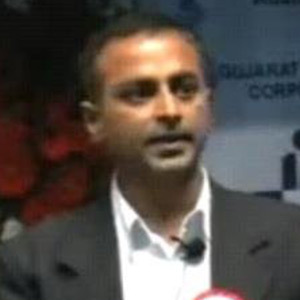 Pramod joined Kotak in 2014. Prior to this, he has worked at MRUC, Lodestar UM and Starcom. 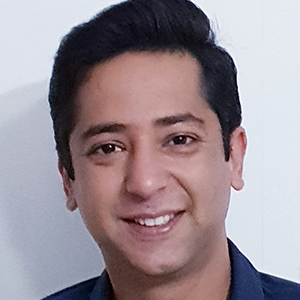 With over 14 years’ experience across media research, strategy, measurement, planning and buying, Pramod loves to read, learn and unlearn given the dynamic nature of the industry. Pramod has completed his Production Engineering from WIT and his post-graduation in Media from ISB&M Institute of Management. Pramod loves watching movies and wants to travel the world. It is often said that creativity comes in all forms, shapes and sizes… But in his case ingenuity stuck to him in a traffic jam! Raghu Khanna, CEO, CASHurDRIVE hails to the race of young Turks aiming to make it big one day. And much to our surprise, he has already chalked halfway through it. As today, his two and a half year old start up- CASHurDRIVE is not only India's first On-Wheel Advertising Company but also adorns a long standing brigade of clients in its kitty including- Adidas, Lays, Subway, Coca Cola, Levis, Pizza Hut, Pepsi, Reliance Mutual Fund, Reliance Communication, Reliance Net Connect, Tata Indicom, Tata DoCoMo, NACO(National AIDS Control Organization) and many more. 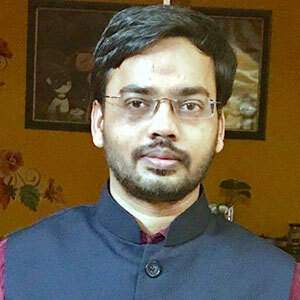 An engineer from Indian Institute of Technology, Guwahati, Raghu, unlike many budding entrepreneur had never earmarked a plan on papers to start up his own venture. In fact the story behind his move is quite interesting. As Raghu fondly reminisces, “The funny slogan behind trucks and vinyl stickers on police jeeps caught my attention as I couldn't take my eyes off it. And then comes the idea to charge advertisers to put their messages on privately owned vehicles and thus I started my website.” Little wonder, what Raghu might tag off as a modest start, his website caught attention of 1500 car owners and 8 advertisers within the first week of its launch. Gifted at creating business concepts that are unique his brainwave- CASHurDRIVE banks on the funda of “Permission Marketing”, relatively a naïve concept in India. But the thing that has worked wonders for him is that CASHurDRIVE generates a typical Win-win situation for all three- Advertiser, car owner and the agency itself. As it not only gives the advertiser the complete package to target the Indian demographics but also caters as a perfect solution for rising fuel cost and inflation rates in India for the car owners. Raghu is in his full gears. As he avers, “I am trying hard to create a niche in this new and exciting industry”. His agency has launched a host of value-added services for its customers. Right from joining hands with HPCL/BPCL for providing fuel coupons to the car owners, to a vehicle tracking system for its clients, a centralized printing of stickers in Bangalore and launching a new vertical called - CYCLOBRANDS, he is leaving no stone unturned to make this concept popular. The reason for his aggressive push also stems from the increasing competition from radio taxis and buses using the same mode of advertisement in the country. However, an eternal optimist Raghu is all qualms and is bull headed towards his goal. So much so, that his team members also suffer from one common syndrome namely- BSD. Wondering, what on earth it stands for? Well like Raghu they are (B)rilliant, (S)mart and (D)esperate to make things work! This man surely knows how to transform your fuel-guzzling car into a revenue earner for sure! Founder & MD, GreyParrot Integrated Pvt. Ltd.
7. Is a visiting faculty member at over a dozen management institutes across the country. 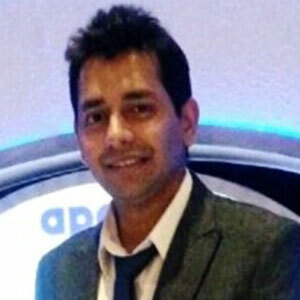 Sanil Jain is the Co-Founder of CupShup. He currently helms talent development, business development, partnerships and strategy at Cupshup. He holds a B.E. (Electronics) and an MBA in Marketing and has previously worked with Amazon and Infosys. Sidharth Singh from Muzaffarpur and Sanil Jain hailing from Bhopal’s problem-solving days go way back to Chennai, when they would study together for their MBA entrances. Since they first started out in November 2014 with their pilot campaign, they have associated with big names like Uber, Amazon, Google, Coca-cola, Kotak, Unilever, Marico, SBI Life, ICICI Prudential, Viacom 18, Ola Cabs, Oyo rooms, Swiggy. During their MBA, Sanil was having a cup of tea with Sidharth at a Chai Tapri outside their college. Sidharth was working on an entrepreneurship project with few friends and was struggling to come up with an unique idea/product to present for his project. That’s where they found their Eureka Moment. Sanil always had an inclination towards entrepreneurship since his college days. He always tried creating business prospect out of situations where he felt there was an opportunity. Even during his college days, he tried his hand at various things and made some profits albeit at a very small level. Thus, when sidharth (the other Co-Founder) came with this idea, it was natural for Sanil to take the plunge. CupShup has a clientele of more than 140 brands and has built a network of over 5000 Tea Stalls, 500 Colleges and 1500+ Corporate where they help brands reach their target audience through paper cup branding and activations. Mr. Sanket established Xtreme Media Pvt. Ltd. In the year 2009, with a vision of re-inventing digital display market in India. After completing Masters in Computer Science from Drexel University, USA; he worked with Blackrock, NYC as a software developer. 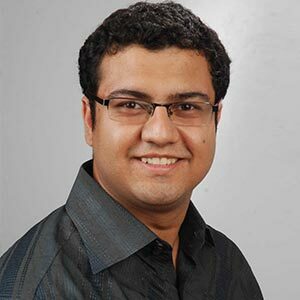 Sanket is a first generation entrepreneur with deep passion for technology. He started Xtreme Media with team of 2, and now he is leading a team of 50 young professionals. He has established Xtreme Media as total 'solutions brand' in digital display segment. 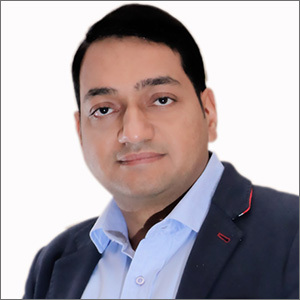 Mr. Sanket envisions, Xtreme Media will establish India as the most cost-effective hub for software, hardware and content management in digital display technology solutions. We aim to be a global leader in Digital OOH technology; by Continuous Innovation, global sourcing & distribution network, organization & brand building. Our PURPOSE is to enable experiential presentation of content and creating WOW factor, thereby accelerating the branding power of clients! Mr. Sanket represented Xtreme Media Pvt. Ltd. in CNBC Awaaz Masterpreneur India 2014 & won the title of 1st Runner up among 1852 applications. The show was looking for entrepreneurs who can have a large impact on society & have immense potential to grow. “Sanket’s passion to succeed and his determination to create the one stop solution is what keep him ahead of the game. He has broken the rules of the way digital media is used by integrating software & hardware to provide an integrated service. Xtreme Media is a company would back in long term” Mr.Sunjay Kappor CEO, Sona Group & Judge on the show. 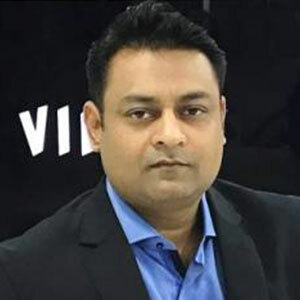 Shoumitro Goswami manages operations and technology at Vyoma and is responsible for the overall strategy of the company and the growth of their PAN India digital out of home(DOOH) footprint. Currently, Vyoma’s displays are present across 17 States at railway ticket counters and metro stations. With a reach of over 130 million people a month and more transit verticals being explored, the overall mission is to reach and engage with all consumers who are on the go. 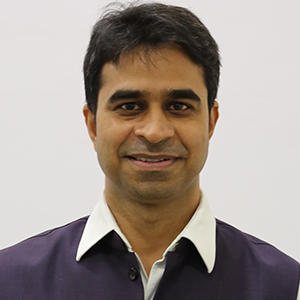 Prior to joining Vyoma in 2014, Shoumitro founded Austal in early 2004 to provide financial advisory services to the Indian markets. Austal began by providing outsourced financial services, financial training as well as strategic and fundraising advice to corporate clients. Prior to founding Austal, Shoumitro worked in Investment Banking at Banc of America Securities in San Francisco. He spent his time there in their Technology Group in Corporate Finance sharing his time between the Software, Semiconductor, Communication Equipment and EMS sectors. 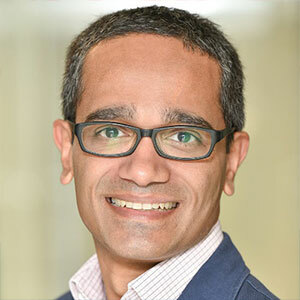 Shoumitro also worked with Morgan Stanley where he spent his time in corporate finance, mergers & acquisitions and equity research. He began his career in investment banking at Salomon Brothers in their Global Energy Corporate Finance Group. Shoumitro graduated from Columbia University with a BA in Economics and East Asian Studies. Over 20 years in marketing and media planning across product categories and geographies. Currently heading media globally for Tata Global Beverages (TGBL). Prior to TGBL was heading media for Wipro Consumer Care. Before that was heading consumer marketing at Lenovo and was instrumental in launching the brand in South Asia.